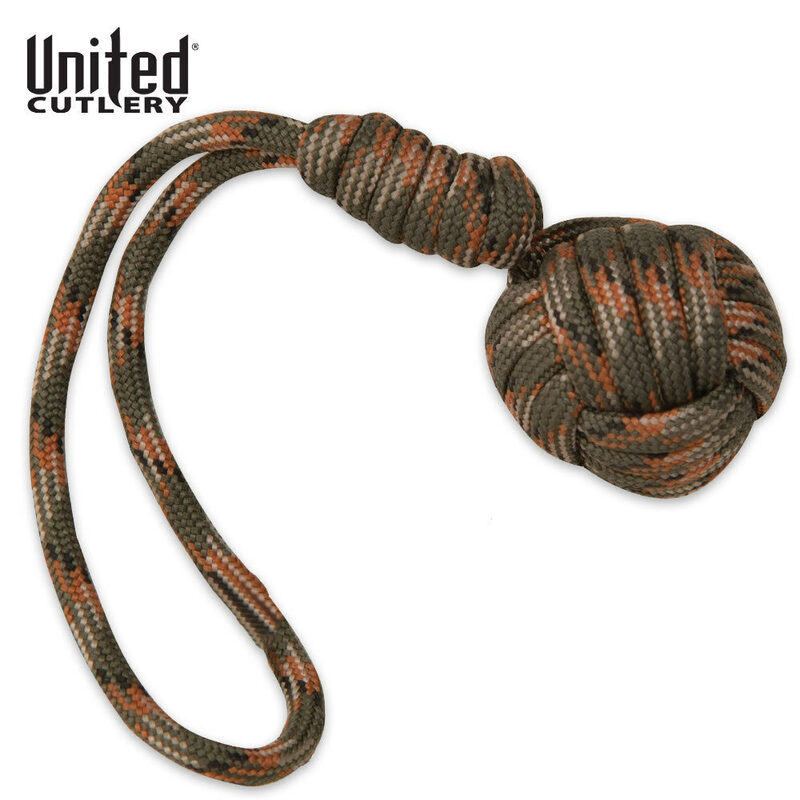 Inner steel core of 7/10"
The Monkey Fist makes for an excellent personal protection tool. Often used in the 1800s by sailors and gangs in melees, the Monkey Fist is still used for protection today. This Monkey Fist is tied with heavy-duty 300 lb. paracord. The inner core is constructed of a 1/4 in. steel ball so when needed, this device thwarts your attacker. 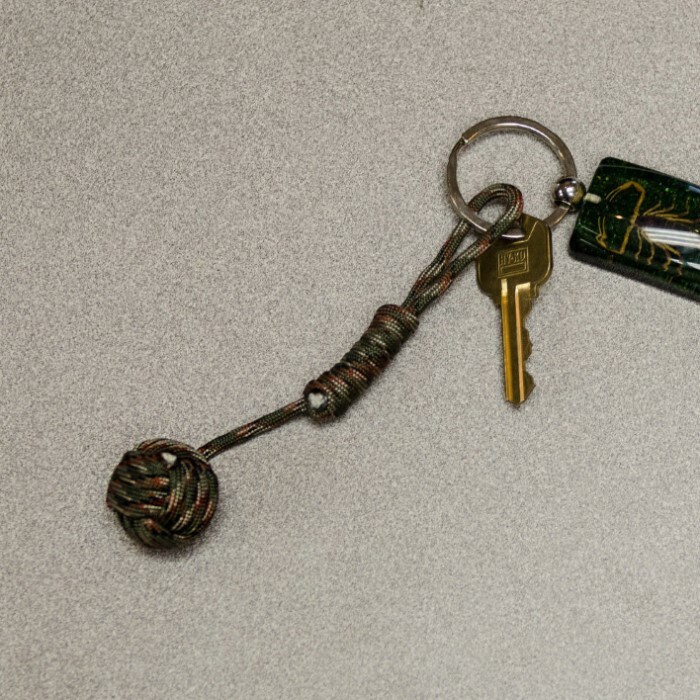 The paracord loop allows versatility and it works great as a key chain or knife fob. I purchased the black monkey fist version first. Happy with that one. I assumed the camo version was the same length and weight ball, just reduced because of color. Purchased two and was disappointed. Too short and light to be really effective. Very nicely made! Even the weighted ball inside! Excellent quality!